I haven’t written anything topical recently so this post will try and hit 3 birds with one post. 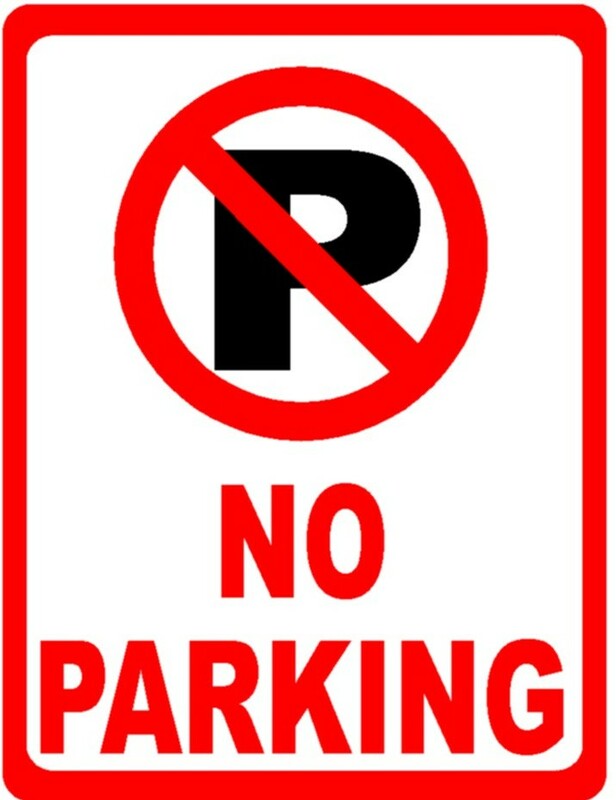 Over the past couple of weeks there has been an uproar over Councilor Holt’s suggestion that parking be charged at various city amenities outside of the downtown. First, everyone should listen to August 12th Rose City Politics where Councilor Brotolin discussed this issue and its history. The simple fact of the matter is, is that there is inequality in where the city charges for parking and where they don’t and an overall evaluation of where parking is charge and isn’t is needed. Parking isn’t free, with an average street level spot costing $4,000 and above/under ground spots ranging between $20,000-$40,000 per space to build, those numbers do not include long term maintenance. In Windsor we do pay for parking beyond the metered spots in the streets and garages downtown as portions of taxes and development charges go also go towards parking. Although I couldn’t find any number on the percentages of taxes that contribute to parking costs, when a house is built in Windsor, $71 of the development charge goes to “parking”. which is only $4 less than “General Government” costs and $8 less than “Public Works and Fleet”. For some reason Transit’s fee is set at $119 per house so I do question if Administration/Council got this fee structure right given that the total range for development charges are between $6000 and $20,000 per unit. Although Councilor’s Holt’s aspirations of a bike friendlier city are admirable they are also driven in many cases by a minority of their needs are largely satisfied while at the same time other policies actively circumvent progress or encourage contridicting behaviour. I agree that we are no longer the automotive capital of Canada, for decades our city has been and it was designed and built for the car and will need decades to transform itself (#Windsor2035). I also question many of those who spoke out with vitriol and self-interest against the parking issue if they even deserve a voice. I am all for public discourse but we like to think of ourselves as a region when we are not! Justice Silvaggio’s of Amherstburg letter to the Windsor Star is the perfect example. Justice doesn’t deserve a voice in this discussion because frankly he doesn’t live in Windsor or pay taxes here. Sharmyn Robinson letter that Councilor Holt suggestions are tantamount to condemning seniors to live of isolation and misery for not being able to pay a few dollars or owning a smart phone. Life After 50 Programming is supported through membership fees ($96 annually or a $5 day pass) to say that a new fee structure of (pulled out of thin air) $99 annually or $5.50 or $6 per day would not be sustainable and affordable to support the costs of parking is not unreasonable. How many hockey mom’s will not register their kids for hockey due to a $2 fee to park when they come to watch their son/daughters game? Would the Spitfires folder if every ticket had a $2 parking fee added to it? This is why I find myself, I find myself drawn closer to Councilor Brotolin position that the evaluation of parking fees is needed because of the lost potential revenue. Ann Jarvis’s column paints a clear picture, city services are dying a death of 1000 cuts and maybe the choice between paying for parking or an extra percentage point or two on tax assessments could change some minds. I applaud them for raising the issue and if as a part of the Parking Task Forces’ work they are able to evaluate the revenue lost by not charging for parking, it is a net gain for the city. This is a first step on a very long road that in my opinion is in the right direction… the question is whether there is going to be the political will to sustain it over the long term. they are a work in progress but he does deserve accolades for putting his views out there for the citizenry to review and engage. Overall I agree with many of his points, on others I disagree. I will pass commenting on the Ward specific items (comments about specific parks, infrastructure improvements etc.) that he made as I don’t live in Ward 7 and don’t have much experience using those facility/amenities. First I agree entirely with Councilor Kusmierczyk regarding fiscal prudence, open government and supporting a good quality of life but frankly who doesn’t. No one is going to say I want government to spend like drunken sailors, make all decisions behind close doors and make Windsor a worse place to live. The devil is in the details, is he (or his successors) willing to sacrifice park improvement or desires of his constituents for the better good of the city? I also agree on sports tourism and spending priorities with the city. I am currently reading a book on Sports and Economic Development that helps point to follow of this venture (note I am only part way through the book and will reserve completed judgement until I read the author’s conclusions). I also find myself agreeing with the Councilor on the issue of libraries and there maybe opportunities to have WPL dovetail with other organizations, particularly under the guidance of the newly released report on Community Hubs from the Ontario government. His ideas for innovation hubs in libraries/community centres makes a lot of sense, assume we can keep libraries in a majority of neighbourhoods and expand these services into neighbourhoods that have lost their library’s. Finally cooperation on transit with Tecumseh (or any other municipality) just makes sense, not only on the route the Councilor outlined but also with the new “Megahospital” going on the border of the city and town some sort of cross boundary connection should be arranged. Unfortunately I personally don’t believe that the city should be in the business of launching innovation hubs/incubators. First there are already several incubators/hubs in our community and the city shouldn’t be in the business of competing with not for profits and the University/College. I am not in the know on this issue but is there a long line up of start ups that can’t find space and need a new purpose build/re-purposed space? I understand where the Councillor is coming from, it would be great to replicate the winning formulas from Ottawa or Waterloo but as we exchanged on Twitter a few weeks ago the start up cultures in those communities are a direct results of the legacy of major tech firms like Blackberry and Nortel that created a pool of talent that enabled innovation, Windsor doesn’t have that. To simply build it and hope they will come is the same philosophy used for the Premier Aviation Hanger and the extra space at the Airport Cargo Hub that are yet to meet expectations. Dovetailing from this is the discussion of economic diversification which is need but frankly IMO the city has little to no control on economic diversification. Economic Diversification is a decade(s) long process that Council’s 20 year vision can only nudge in the right direction. I plan on writing on this more in my #windsor2035 series soon. Economic Development Corporation is back in the headlines with the Mayor moving forward with an independent report on how the city should proceed in relation to the regional WindsorEssex Economic Development Corporation. Ann Jarvis’ column this past week highlights many of my concerns going forward. What will be spun as a clean break for the betterment of Windsor will result in the proliferation of EcDev offices across the county. As Ann Jarvis’ article pointed the result would be immediate competition between the city and county for people and resources. The $2.2 million budget that the Corporation posts actually is much larger as it can leverage those monies for Province and Federal Government grants. In 2014/15 WEEDC leveraged over $600,000 in grants from other levels of government, splitting the budgets of the organization limits their overall fiscal capacity which in turn hurts the operational competitiveness. Councilor Kusmierczyk in his 20 year vision called for a model similar to Kitchener-Waterloo where both cities have EcDev offices that work along side a regional office. From my experience working at WEEDC I don’t think this model would work for our region. First, Windsor and the County are not comparable to KW, as Kitchener and Waterloo are two cities of near equal size with distinct economic bases. 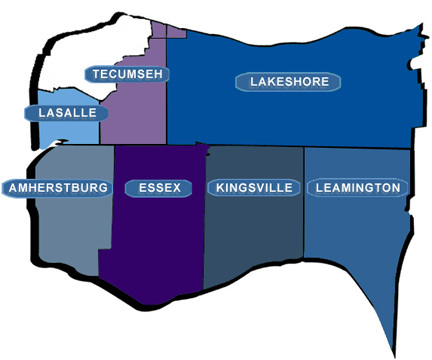 Although the populations of Windsor and the County are similar, the difference comes from the 7 different jurisdictions that make up the county and Windsor being the economic hub of the region. Our region needs to speak with a single voice and even if a regional organization did survive a break up, it would largely be neutered and quickly become a subsidiary to the city/town based organizations. How would priorities be set if 8 mayors are all calling for different goals or looking to leverage their own local organization. Then there is WEEDC membership in supra-regional organizations like Ontario Automotive Communities Alliance. With a smaller budget (funds lost by a city pull out) would our regional office be able to afford the dues to maintain its memberships in organizations like this? According to their annual report last year WEEDC was partners with 20 other major organizations would a small regional corporation be able to keep the clout that we currently hold or would partnerships and the opportunities they present fall to the wayside with fewer staff and resources? Then there two items that have been overlooked in this whole discussion of the fate of the WEEDC. The first is the Small Business Centre. Despite sharing office space with WEEDC, the SBC is a separate organization with funding sources that are far more diverse than WEEDC as a whole. The SBC operates offices both in Windsor and Essex making it a truly regional organization The break up of WEEDC could make their stay in their current location unattainable resulting in higher costs due to lost partnerships and synergies. This brings us to the crux of my conspiracy, the Mayor’s little discussed Retail Development Corporation. The report that was before Council in January did highlight that many of the potential services offered by the Retail Corporation would risk duplicating the activities of WEEDC. With an initial estimated cost of $250,000 maybe but if the city hives off a portion of WEEDCs funding the retail corporation that the Mayor campaigned on could be easily funded. For better or worse, rolling a portion of the Small Business Centre into that Retail Development Corporation, makes a lot of sense; start a business and find some space all in one shop. Create a new corporation that can “rebrand” Windsor’s economic development opportunities and with whatever money is left over we can “cooperate” with the County. At the end of the day it comes down to dollars and where you expect to get the most bang for our taxpayer buck. No one is disputing that the Corporation doesn’t have issues but if you were to ask me if the city would get better results from putting $1 million towards its own Corp and competing with the County or working together and sometimes not getting the limelight (and new companies) but having over $2 million dollars in resources at its disposal when it is needed.